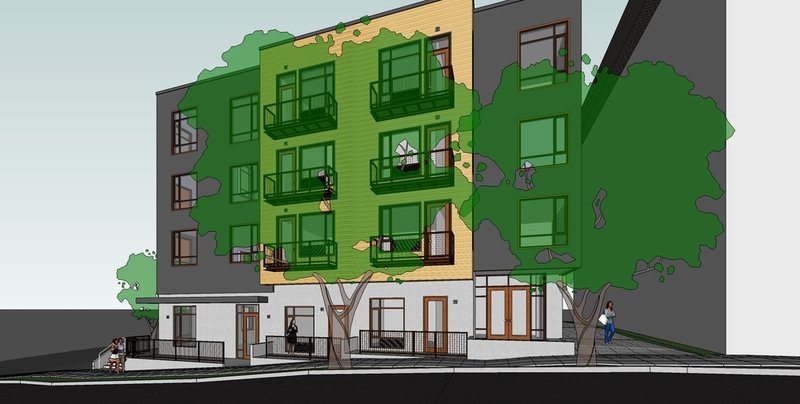 The 19th & Overton Apartments by GBD Architects are recommended for approval in a Staff Report And Recommendation To The Design Commission [PDF]. 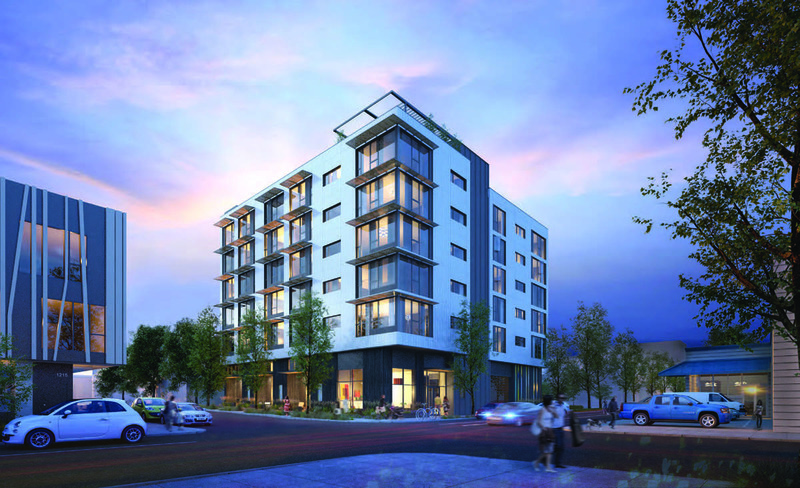 The project, for developer Gerding Edlen, will be a 6-story building with 58 apartment units. 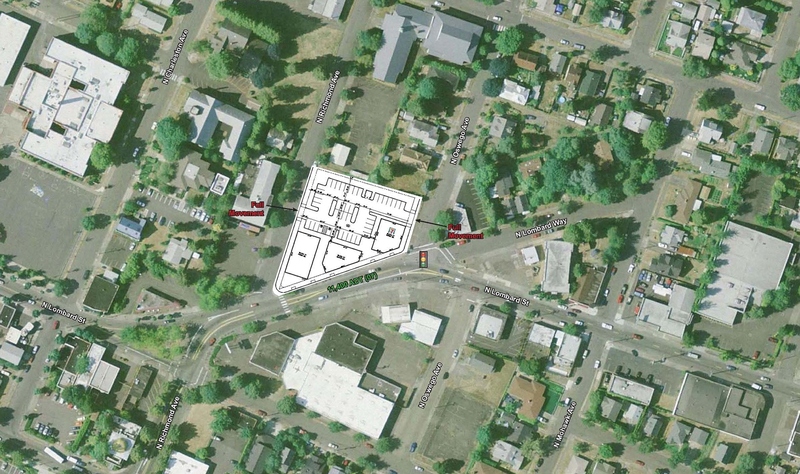 4 loft units will have entries directly onto NW Overton. 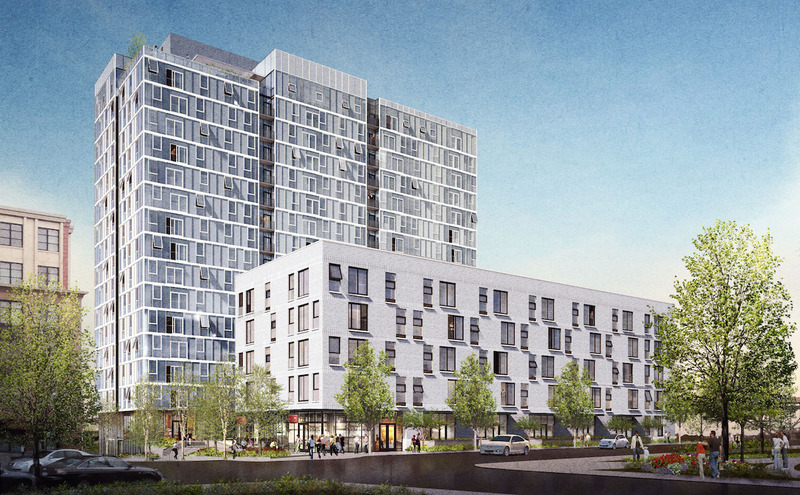 A roof deck for the use residents is proposed, with a fire pit and an outdoor kitchen. 33 vehicular parking spaces will be provided, all but one of which in a mechanical parking system. 64 long term bicycle parking space will be provided, mostly in a secure bike room. The PSU School of Business Administration had its first Design Advice hearing in front of the Design Commission on January 15th. 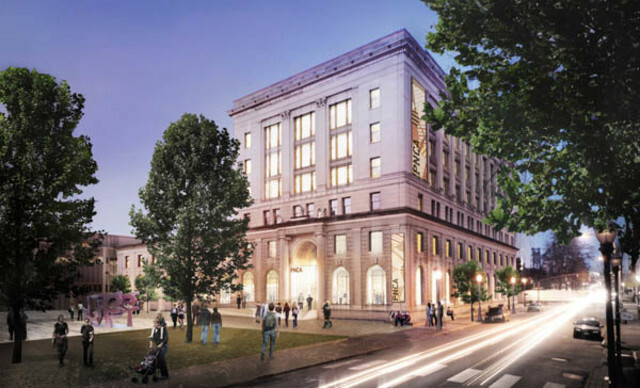 The project is a renovation and expansion of the existing building, which is currently occupied by the School of Business Administration and the Graduate School of Education. 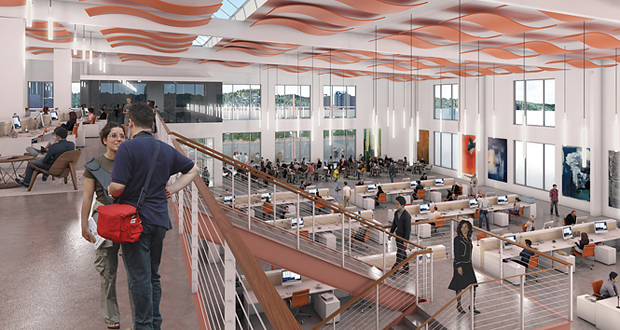 The project architectural design is by the Boston office of German firm Behnisch Architekten with Portland-based SRG Partnership. The landscape architects are Mayer Reed. The Columbia Apartments are under construction at 1423 SW Columbia. 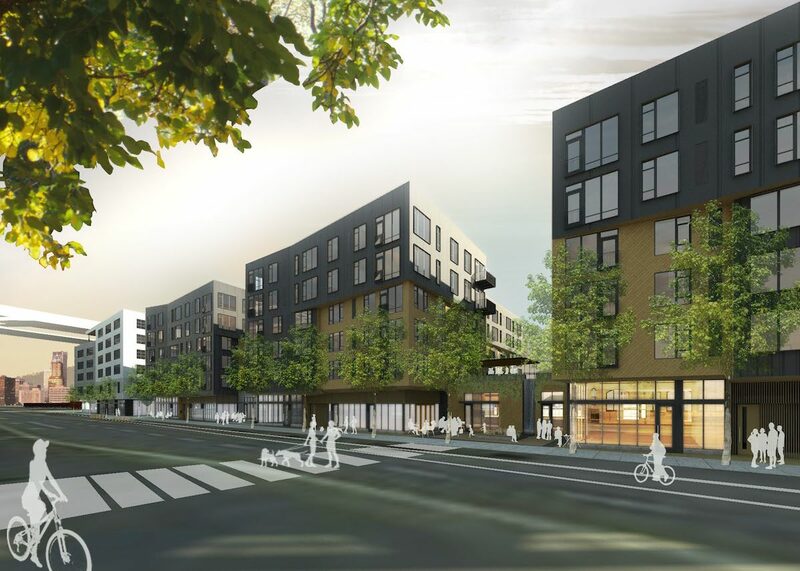 The project, designed by Fosler Portland Architect for WDC Properties, will add 23 apartment units to the Goose Hollow neighborhood. 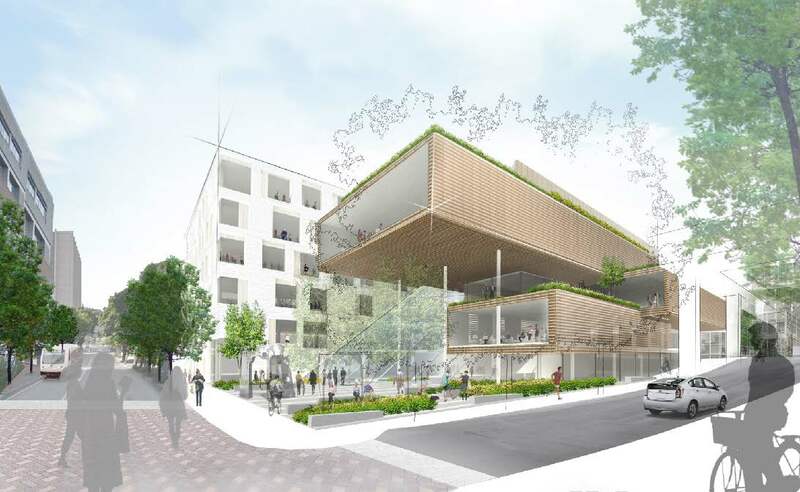 Proposed exterior materials for the four story building include metal panels, cedar siding and stucco. No off-street car parking will be provided. 36 bicycle parking spaces will be available in a secure bike room. 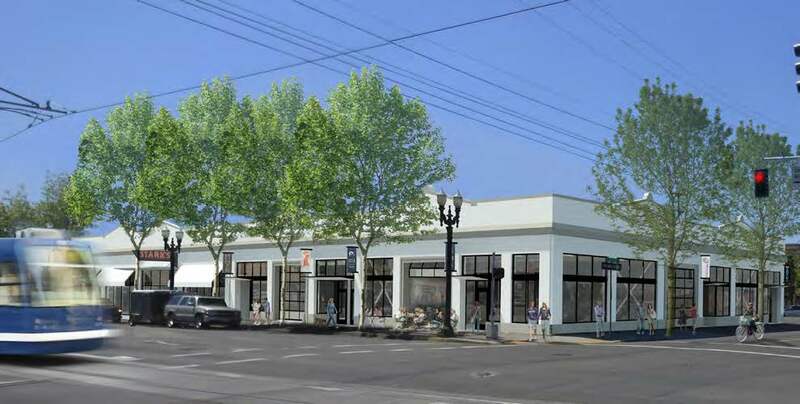 A Central Eastside warehouse at 107 NE Grand is currently being redeveloped into new retail/creative office space. The project includes a seismic upgrade of the building, and new landscaping / storm water facilities at the existing car park. The 1922 warehouse is owned by the adjacent Stark’s Vacuums, and was previously vacant. Their retail store will remain. The project design is by Hennebery Eddy.